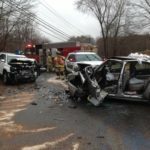 Two Car MVA on Mount Pleasant Road with Entrapment. 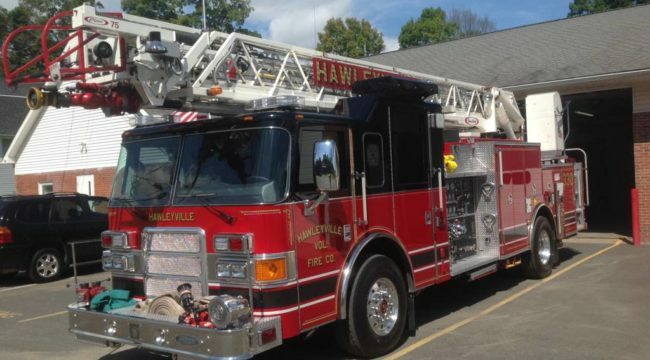 Hawleyville Fire put into service a 2003 Pierce Enforcer 75′ Ladder truck. 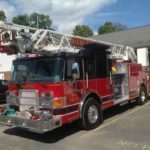 This truck will add to it’s Fire Fighting and Rescue capabilities for the Hawleyville fire district and all our mutual Partners. 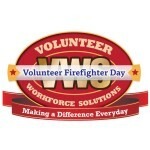 Where Can I Sign Up To Be A Volunteer Firefighter? 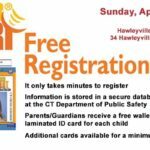 Visit our Open House on Sunday, April 22, from 10 a.m. 2 p.m., or pick up an application at Hawleyville fire station located 34 Hawleyville or download an application at www.Hawleyvillefire.com Learn more at our Open House on Sunday April 22, from 10 a.m. 2 p.m.
HVFD and SH4C business association invites you to bring your children for free registration. 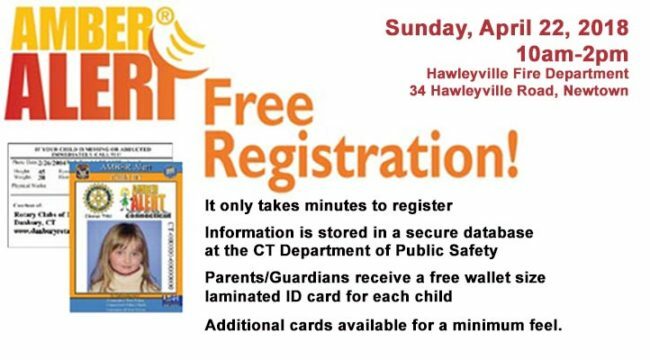 If you have any questions, please contact Madeline Bunt at Union Savings Bank, 203-730-6376. 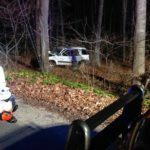 On the night of Saturday April 15th Hawleyville fire responded to a one car MVA on Butterfield road with injuries. One occupant had to be extricated from the vehicle and was transported to the hospital with serious injuries. 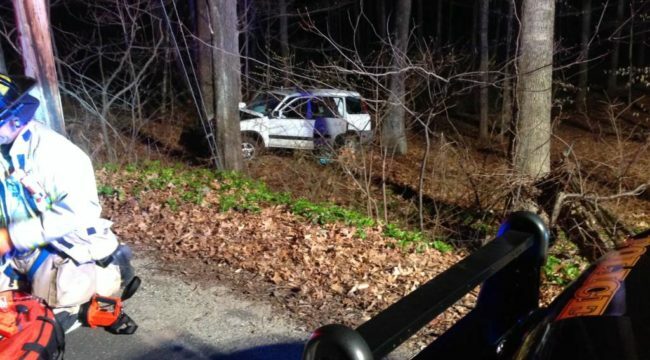 On the morning of Monday April 3th Hawleyville Fire respond to a two car MVA on Mount Pleasant Road that required extrication. 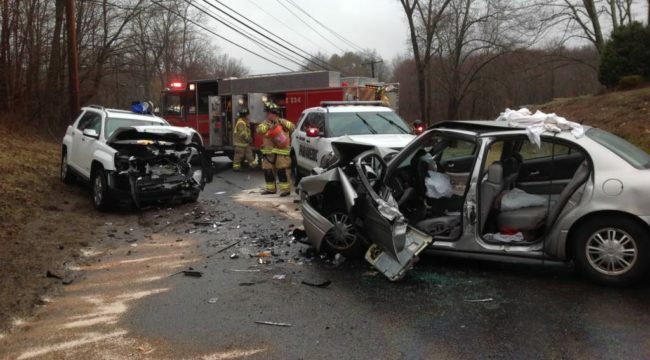 Hawleyville fire extricated three occupants from the two vehicle that took about 20 min. 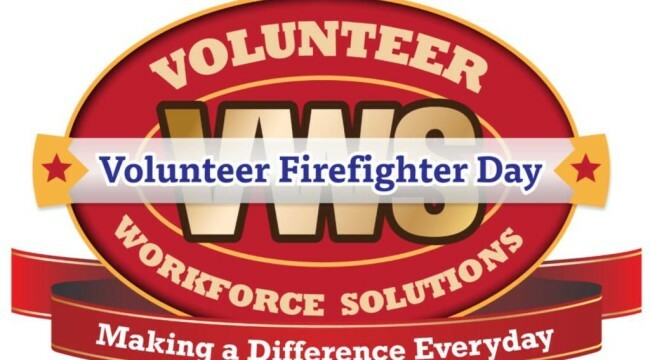 one of the occupant was fatally injured.